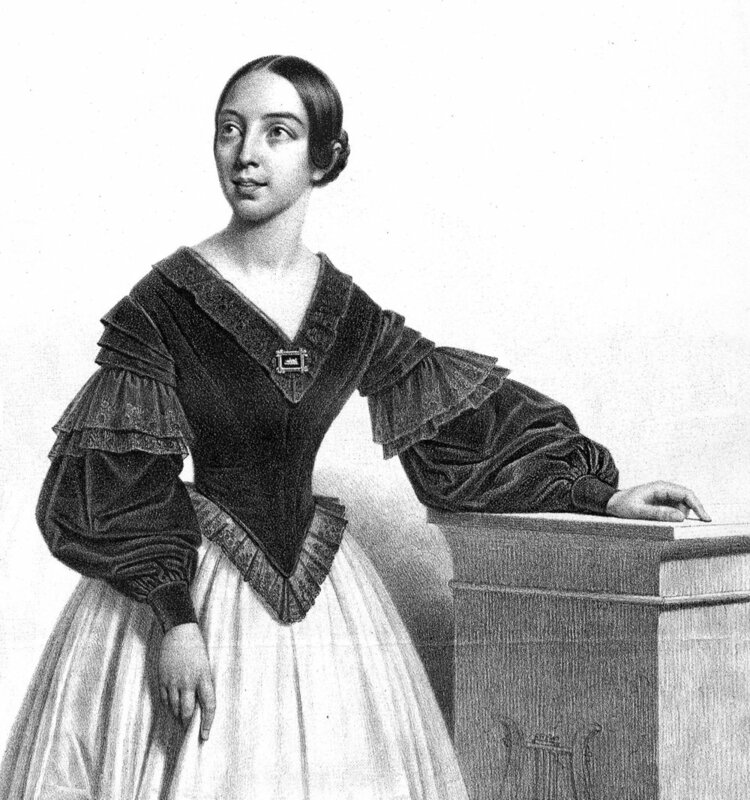 Some think Pauline Viardot-Garcia studied singing with her brother, while others believe she studied with her mother. It depends on who you rely upon to ascertain the matter. Me? I think the Oracle of Paris studied with herself; that is, regardless of who she happened to work with during her lifetime, Viardot-García was as near an autodidact as you can be—subsuming everything that passed in front of her eyes and ears. The big clues? She spoke multiple languages fluently without accent, sight-read and sang Tristan und Isolde for the composer from the orchestral score, and played her student’s accompaniments from memory. Instead, you find references to “bitter oranges” and an “unequal” instrument. What did she possess that made her famous as a singer? How did she make herself heard—both dramatically and literally—despite not having a beautiful voice? I would suggest to you this: pure vowels. This is the teaching she gave to her student Anna Schoen-René, who passed it onto her own students, including Margaret Harshaw. What is a pure vowel? Well, I can tell you what it is not: a falsetto, early music, straight-tone monstrosity. As well—a tone that is stuck in the throat or nose. No, that is not the García’s idea of a pure vowel. A pure vowel is aligned with full-even tone; “heard” by the singer and listener as emanating from the “core” at the bottom of the throat; perceived as being exceedingly clear at the front of the mouth; and “placed” in the head, mask and face. Pure vowels are also buzzier than god, which is a matter of private audition and not heard by the audience. This last aspect is the big stumping block for many students—higher voices especially wanting to hear in their own heads what they hear coming from the mouths of others. To put the whole matter another way: pure vowels are radical vowels, revealing everything to those who can make them, and carrying to the listener whatever can be imagined.